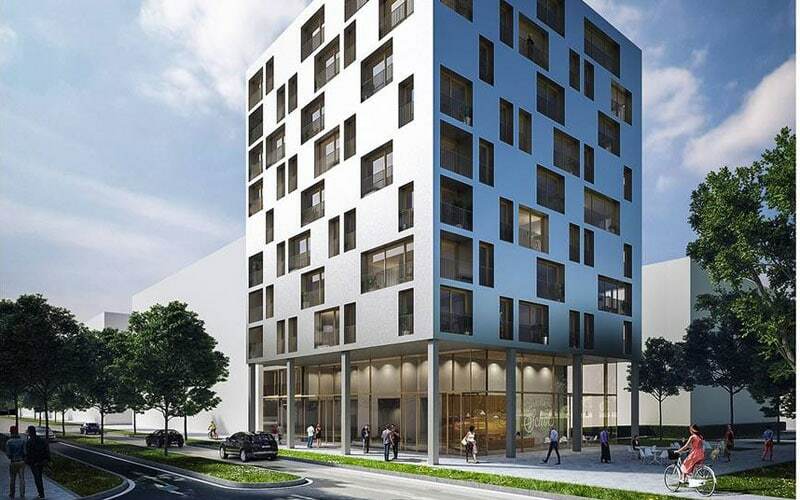 In Heilbronn, Germany, architects Kaden + Lager are building SKAIO, currently the tallest wood building under construction in Germany at ten floors and 34 metres. It’s officially hybrid construction, with stair and elevator core built of reinforced concrete. It is all then clad in aluminum. The wood parts are prefabricated using glulam and cross-laminated timber. One floor can be constructed per week, being prefabricated and then assembled on site.